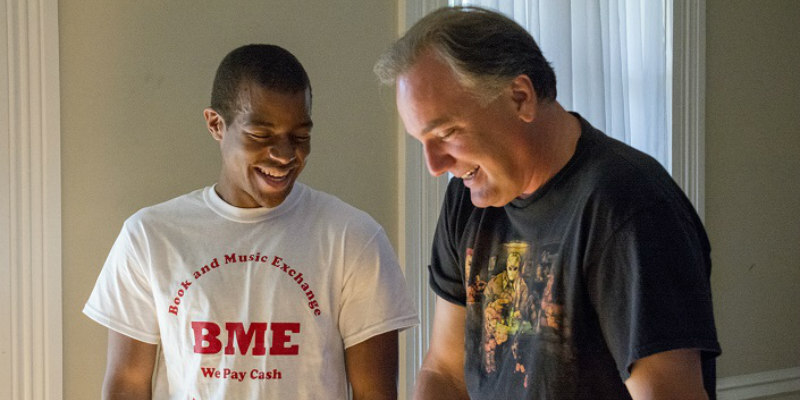 Actor/producer Eric Huskisson discusses his latest project. Eric Huskisson is an actor and producer, known for The Confession of Fred Krueger (2015) and Volumes of Blood (2015). His latest project, which he stars in and produced, Volumes of Blood: Horror Stories (2016), is released this August from Dark Cuts. Do you have to be a horror fan to produce a horror film? I don’t think so but I’ve only produced horror. If I had to say anything different about producing horror compared to other genres it would be because of Special Effects. You have to work closely with your F/X Supervisor early on to figure scheduling and costs. You need to know all the costs for F/X up front. You also need to know time for application to clean up. Clean up was a huge task on almost every set. We literally cleaned up gallons and gallons of blood on this film. Another factor is time for F/X resets if the effect didn’t go well or they didn’t get the look they wanted on camera. 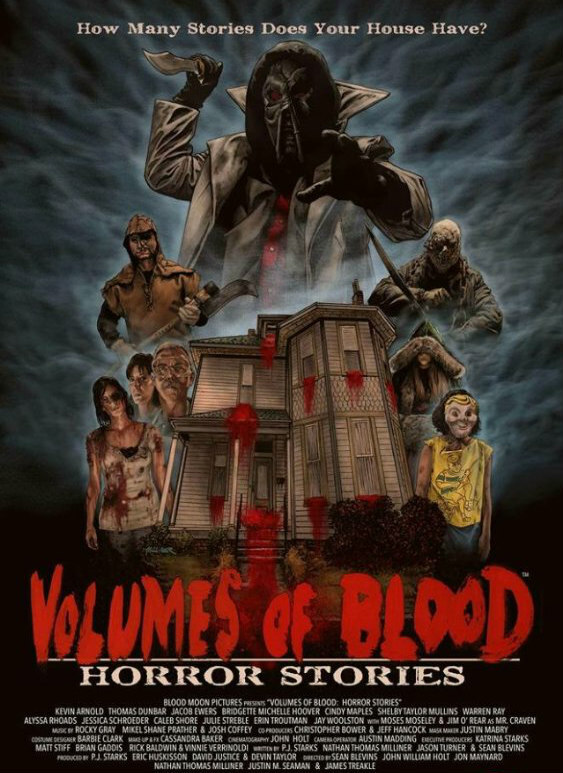 Would you say Volumes of Blood resembles any other horror films in particular? I haven’t seen all the horror anthologies that have been made over the years but I have seen some mentioned in comparison. I think the way (writer/producer) PJ Starks put together the Volumes of Blood world sets it apart from other anthologies. They are not just a bunch of short stories put together to make a full-length movie. Each story in the VOB series is tied to another by the present, past, or future. As a producer, what were your responsibilities on the project? PJ and I split the producing as much as possible but we did our own parts as well. We both do the auditions, location scouting, approve scripts, filming schedule etc. I handled finding most of the props, reserving hotels, budgeting finances, food services, paying reimbursements, and whatever onset producing needed to be done. And your work doesn’t end until the film is distributed, I imagine? Yeah, storing our company’s belongings and getting other's stuff back where it belonged and finalising the budget isn’t the end. We then need to find a distributor. Once we find a distributor PJ works his media magic to get the word out and we start getting poster and box approval until the movie releases. Do you also have to keep an eye on the budget, making sure it doesn’t get out of hand? Yeah PJ and I both keep up with the budget. I manage it and we both agree on what and where we can spend and where we can’t. That’s the main thing after every short we finish is how much did we spend and do we still have enough for the next shoot? Luckily, we knew in the beginning about how much we would have to use but that doesn’t make it any easier because something always comes up unexpected that you haven’t budgeted for. Anything you had to lose, because of the budget? Well our budget was tight from the beginning. We lost an actress up front because of our budget. Unforeseen costs arose later in filming which caused us to cut a few things we had planned to do in the film. Luckily none of the budget cuts kept us from supplying our F/X Supervisor Cassandra Baker with everything she needed. Overall, we made the budget work and nothing cut took anything away from the film. How much of the movie was in the script and how much just happened ‘on the day’? I believe there was more of the script in the movie then just what happened “on the day” with this film. There were probably more cuts because of filming time constraints and movie length than any other change to the script or add on. There were a lot of kills added in to the film but they were scripted by PJ along the way. A good movie monster should captivate the audience in some way. The way it looks, or moves, or the way it does its killing, etc. There must be some unique fear level to the monster to make you cringe and sink back into your chair. Especially for the diehard horror fan that has seen every monster variation there is. Do you have a favourite in the film? Not really. I think Atticus Crow and The Harvester were very cool concepts. The Atticus character grew from the first film and I really liked his new look and the way his story was woven into VOB: Horror Stories. The Harvester flesh mask and hood made that character. Cassandra our F/X supervisor rocked that piece! What about just generally, in the horror genre? Michael Myers without a question. I liked horror before I saw Halloween, but after I saw it I was hooked on horror. That movie just gave me cold chills. Michael was a human unstoppable monster. John Carpenter's vision and music brought that monster to life.